Reginald Willis a Cincinnati native has performed in numerous Productions; including “The Meeting” as Malcolm X, and, “A Soldier’s Play” as Captain Davenport at the Arts Consortium, as well as, “All Over Town” as Lewis Franklin for the Mariemont Players, which won him the Association of Community Theaters Award for Outstanding Performance (ACT Award) in 1982. 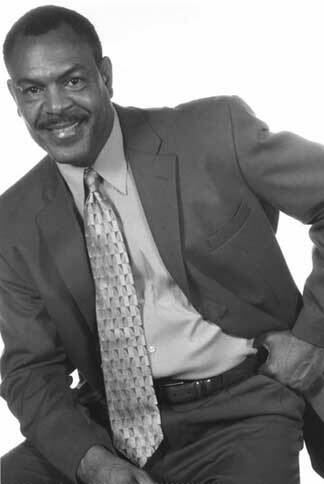 Mr. Willis also appeared as Reverend Sykes in “To Kill a Mockingbird” at the Playhouse In the Park, and “That Serious He-Man Ball” as Sky at the Ensemble Theater Of Cincinnati. Since joining the Know Tribe he has performed as Lee in “True West”, Memphis Lee in “Two Trains Running”, for which he was nominated for a CEA in 2003, Dasher in “The Eight” Reindeer Monologues, and Mr. M in “My Children My Africa”, which was nominated for a 2004 CEA for Best Ensemble Performance. He also recently appeared as Troy Maxson in “Fences” with the Xavier Players. His television commercials include Frisch’s Big Boy Restaurants, Provident Bank, Alrenco, Cincinnati Technical College, and Thompson McConnell Cadillac. Film credits include “The Pride of Jesse Hallam, “Artworks”, “Skin Complex”, and “Living In Technicolor.